Learn to take charge of your relationship with food. 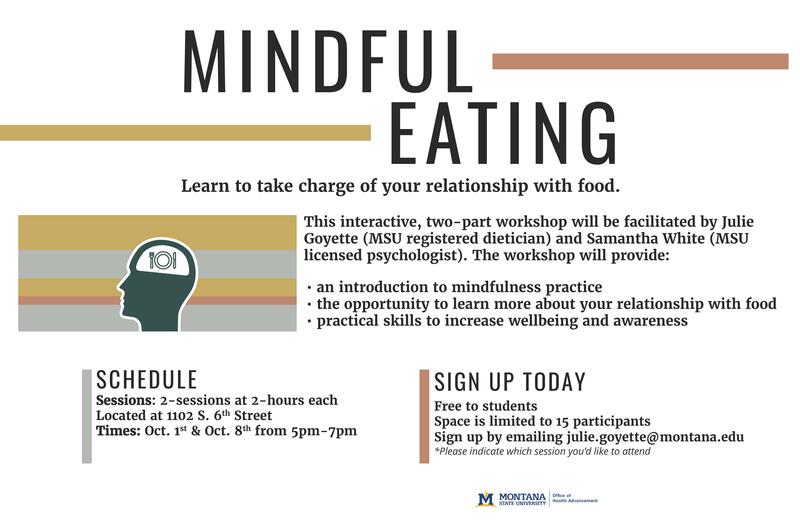 This interactive, two part work shop will be facilitated by Julie Goyette (MSU registered dietician) and Samantha White (MSU licensed psychologist). 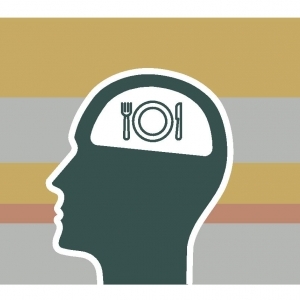 The workshop will provide an introduction to mindfulness practice, the opportunity to learn more about your relationship with food, and practical skills to increase wellbeing and awareness. The two sessions are 2 hours long on October 1st and October 8th from 5pm to 7pm located at 1102 S. 6th Street. The workshop is free to students with limited space of only 15 participants. Please RSVP through email to Julie.goyette@montana.edu.